About 750 people were present at the Food festival in June at the school Colégio Santo André in Venda do Pinheiro in Portugal. 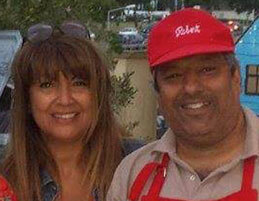 Our Robert distributor in Portugal, Bhadella Comercio, helped raise money for the school by selling Robert hotdogs. The fundraising event was arranged by parents and friends of the children. The festival went very well and received great support from the local community. The money raised at the event was used to improve the school’s furniture and purchase other school supplies for the children. Robert distributor raising money for school improvements in Portugal.